Our services are available in Kensington and surrounding areas 7 days a week. Services range from a few hours a day to 24/7, live-in care. Georgetown Home Care provides services for adults (18+) in private homes, assisted living communities, hospitals, skilled nursing facilities, and rehabilitation centers. Our Kensington-serving office is conveniently located a quick 15-minute drive away in the Friendship Village area of Chevy Chase. To get to our office from Kensington, you can drive straight down Connecticut Avenue (185) and take Western Avenue (the third right) at Chevy Chase Circle. 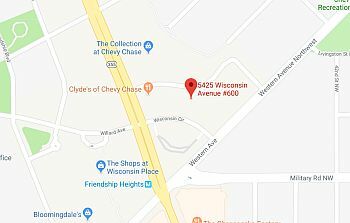 A short half-mile down the road is our office – just take a right onto Wisconsin Circle.